VPN connection with TAP-drivers. Most VPN-providers include TAP-drivers in their installers. If TAP-drivers are missing, VPNKS will notify you. .NET 4.7.1. VPNKS will notify you and help you download it if it's missing. Note: In order to be able to install and use VPNKS, you need admin privileges. Click here for a youtube videoclip demonstrating how to install VPNKS on your system. 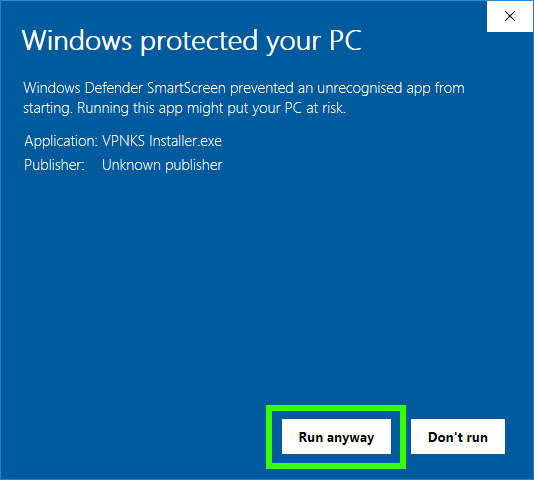 If it's the first time you install VPNKS and you get promped by the Windows Protection prompt, just click on "More info"and "Run anyway"to continue the installation." 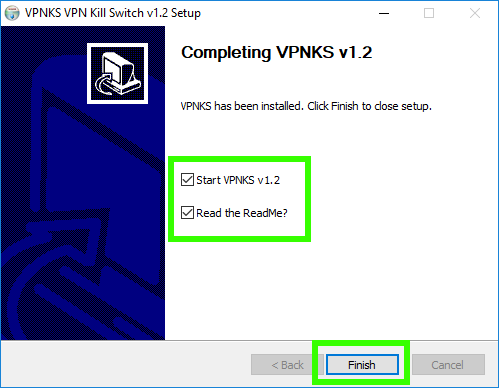 Start VPNKS and click "Config"
Click on to add any program and to remove program. You can add as many programs to VPNKS as you want, there's no limit. The program will automatically be terminated when your VPN connection drops. Also check the "Restart"option if you want the program to restart once your VPN is back up again. 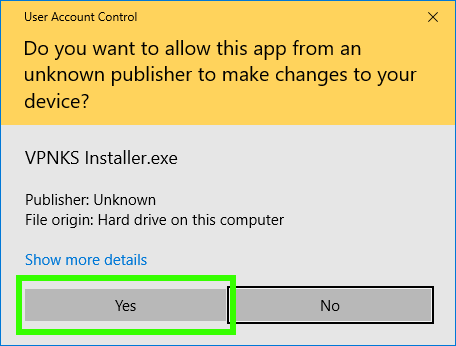 Automatically blocks the program from sending or recieving data over your unsecure connection until your VPN connection is up again. Terminates the program AND block all its traffic and internet connections until your VPN is back up. Check the "Restart"option if you want the program to restart once your VPN is back. In order for this feature to work, VPNKS v1.3 or higher is required and the new VPNKS Browser Control extension for your web browser. 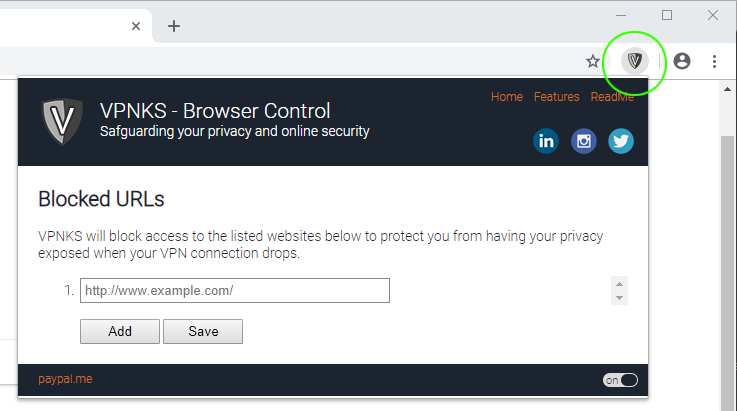 This feature controls your web browser and blocks/unblocks selected webpages when your VPN drops/reconnects to protect your online privacy and internet security. VPNKS does not only blocks sites BEFORE any data is being sent if your VPN is down, VPNKS is FULLY AUTOMATIC. 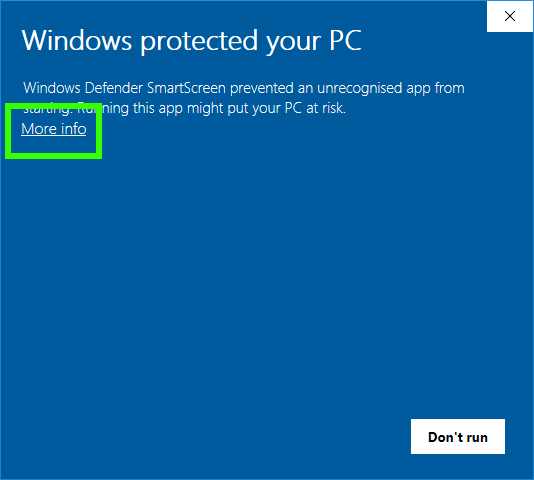 If it detects a webpage you currently have opened, it will be blocked on the fly. This means that sites that keep transferring data (like ads, logging, tracking, statistics etc) in the background, will be blocked in real-time when your VPN drops. VPNKS will also unblock and refresh all blocked webpages you currently have open when your VPN connection is back up. Enter any website into the textfield. Click "Add"to add more websites if needed. Click "Save" and restart your browser for the changes to take effect. If VPNKS blocks a site in your setup when your VPN is down, you can still access the webpage by overriding VPNKS and temporary unblocking it. Simply click on the "Unblock"button. This will unblock the webpage for that browser session until you restart your browser again. A sound notification will be played when your VPN connection change status. VPNKS will start with Windows, minimized in systray, no splash-screen nor sound. 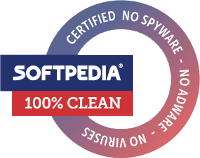 VPNKS will check for new versions at startup and notify you if an update is available. You can also manually check for new updates by selecting "Update"from the Help-menu. Note:Update your firewall to allow VPNKS to check for updates. With Process Protection enabled, all attempts to run a protected program while your VPN connection is down, will be denied! 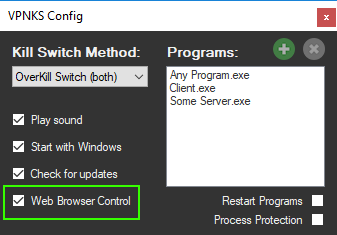 Process Protection prevents accidental program-starts and/or other processes from starting up your protected programs while you're on a unsecure internet connection. Note:Process Protection only protects programs set to use "Program Termination" or the "OverKill" Switch. 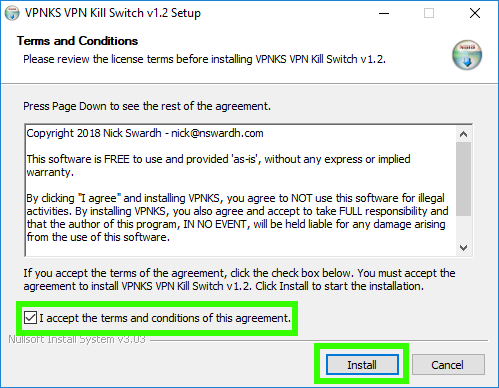 If you want your computer to shut down in case of your VPN shut down, check the "shut down"checkbox in VPNKS's main window. If VPNKS detects a VPN connection failure, VPNKS will first terminate all your running programs to make sure all connections are closed and then shut down the computer, no questions asked!